Unleash your inner artist in our cozy, fun, and relaxed environment. 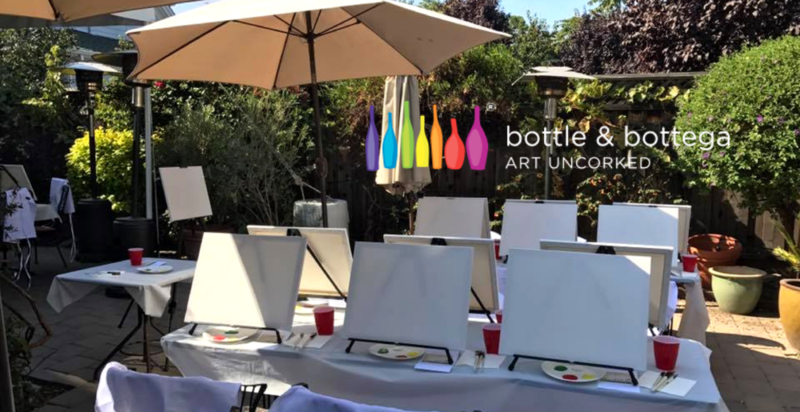 Our Wine & Paint events are hosted by Bottle and Bottega Redwood City. Their premium paint and sip parties are the perfect place to have fun and get creative with your coworkers, friends, and loved ones.